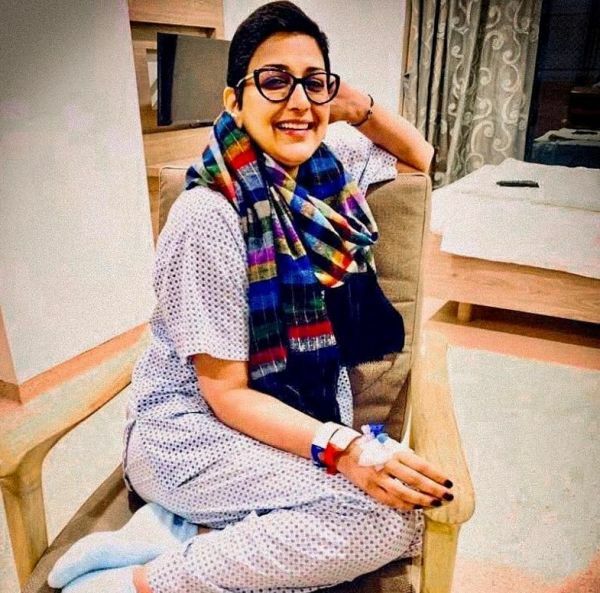 Actress Sonali Bendre, who was diagnosed with metastatic cancer in July last year, has been documenting her inspirational journey of treatment and recovery on social media. An epitome of strength and fortitude, Sonali has been living one day at a time post her recovery. In order to be an inspiration to other cancer patients, the actress has been using the 'MyNewNormal', 'SwitchOnTheSunshine' and 'OneDayAtATime' hashtags to keep everyone updated about how she stays positive every day. After nearly six months in the US, Sonali came back to India after her treatment and opened up about her battle with cancer in several interviews. Recently, she appeared on the cover of a magazine and talked about how her illness changed her life drastically. The actor shared a picture of herself on the cover of the magazine on Instagram and wrote, "There’s no one way to tell how our experiences change us or shape us. Not all transformations are visible. What I’ve learnt is to never let it hold me back. I’d rather dress up and show up!" Speaking to the magazine, Sonali revealed, "So when my PET [Positron Emission Tomography] scan showed up cancer had spread all over my abdomen, like fairy lights scattered all over, and when the doctor in New York said that there was about 30 per cent chance of it all going away, we were shattered." Despite reaching the fourth stage of cancer, Sonali never lost hope. "But the thought of death didn’t come to me. I thought this was going to be a long struggle, but I never thought I’d die." Not to forget, her husband Goldie Behl and all her friends never left her side through the entire journey. 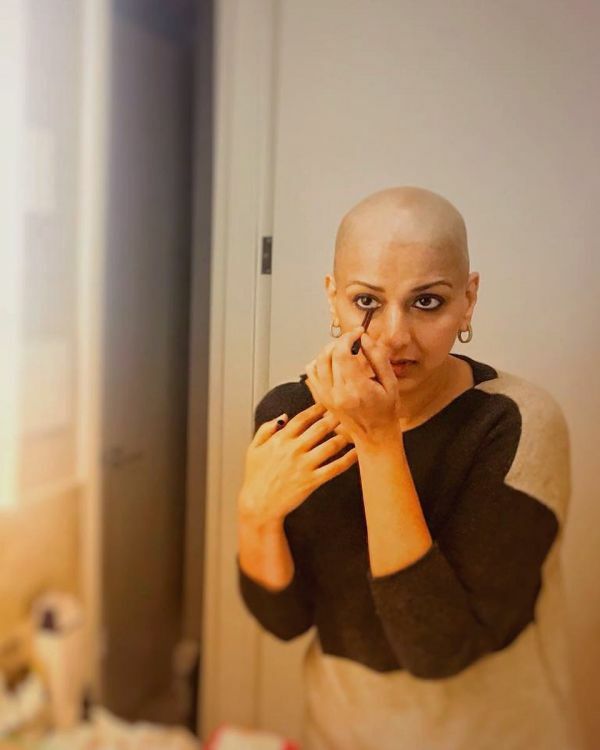 While getting treated, Sonali had shaved off her hair during her treatment and had shared it with the world in a moving post. The Hum Saath Saath Hain actress recently appeared on a TV show with her BFFs Gayatri Oberoi and Sussanne Khan, where she spoke about how, early in her career, her hair was the talk of the town. She even confessed that she got her first break in movies because she had beautiful hair. "Now that I think of it, my whole life had been all about my hair, even though it sounds superficial. I’ve endorsed every hair product at some point in my life." 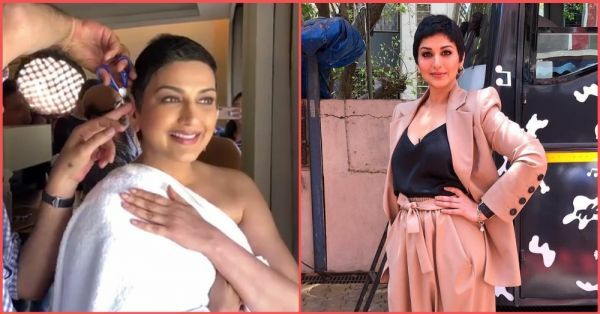 Sonali Bendre posted a video of getting her first haircut on Instagram because stylist Mickey Contractor thought that she needed to get her hair clipped for the magazine shoot. She captured the episode through a beautiful post. Keep on inspiring us, Sonali! More power to you.